Coral Cove opens Saturday, June 1, 2019 to the public. We are open on Memorial Day weekend 12-5 pm (Saturday & Sunday, May 25 & 26 only) for PASSHOLDERS! So get your season pass before May 25! 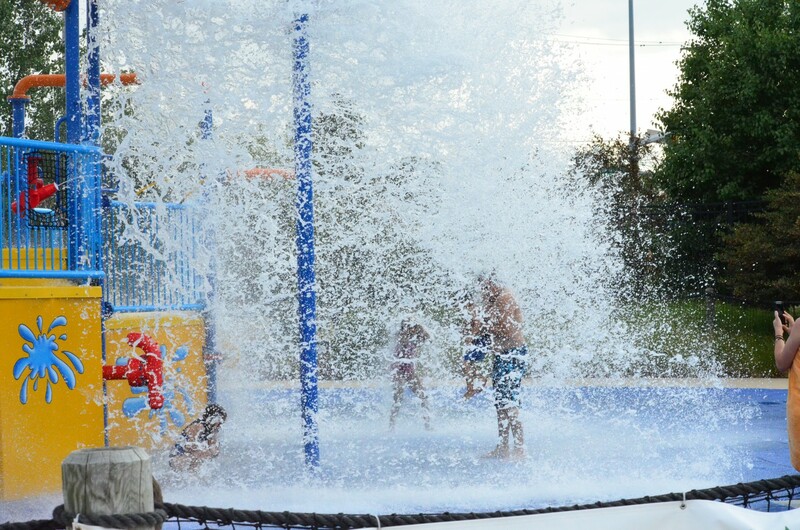 Adjacent to the Simkus Recreation Center is Coral Cove Water Park, which features water slides; a 15-foot climbing wall, drop slide and diving board; water playground with dumping bucket and playground for toddlers. A poolside café provides shaded seating. Coral Cove hosts birthday parties and private rentals. Two awesome water slides – the tallest in DuPage County! Poolside cafe, The Cove, operated by Carol Stream Park District. Menu items include pizza, snacks, drinks and soft serve ice cream, in addition to GRILL DAYS! Group swim lessons will be held at the indoor pool at Fountain View Recreation Center and will no longer interfere with Coral Cove fun! Coral Cove does not permit outside food to be brought into the facility. Baby formula & water permitted. Contact us for more information about the Coral Cove Water Park 630- 784-6130. Every Tuesday parent-tot (ages 0-3 years) swim starting at 10am in zero depth part of pool only. June 7, 8-10pm – Friday Night Lights Climb the rock wall towards the moon as Coral Cove remains open for an extra two hours for everyone to have a chance to swim under the stars! June 12 – Bring a Friend On this day, each season passholder may bring one friend to Coral Cove for free! Limit is one free guest per passholder. June 16 – Father’s Day Come and join us for some fun in the sun! Dads come and relax poolside. Fathers gain free entry with purchase of 1 child’s admission. June 21 – Noodle Night Noodles are allowed in the pool from 4pm until close! June 30 – National Selfie Day Take a selfie at Coral Cove and post it to our Facebook page telling us why you love the Cove to be entered into a drawing to win a free 10-punch pass. July 4 – Fourth of July Join us on the 4th of July and escape from the heat. Come cool off at the Cove while we grill up some good eats. July 12, 8-10pm – Friday Night Lights Climb the rock wall towards the moon as Coral Cove remains open for an extra two hours for everyone to have a chance to swim under the stars! July 17 – Bring a Friend On this day, each season passholder may bring one friend to Coral Cove for free! Limit is one free guest per passholder. July 19 – Noodle Night Noodles are allowed in the pool from 4pm until close! July 21 – Mother’s Appreciation Day Come and join us for some fun in the sun! Moms come and relax poolside. Mothers gain free entry with purchase of 1 child’s admission. August 5 – Draw on the Deck Sammy Starfish and all his lifeguard friends will be on deck this day to show you their artistic abilities! Show them what you can do as we color the deck at Coral Cove! Chalk is provided. August 7 – Bring a Friend On this day, each season passholder may bring one friend to Coral Cove for free! Limit is one free guest per passholder. 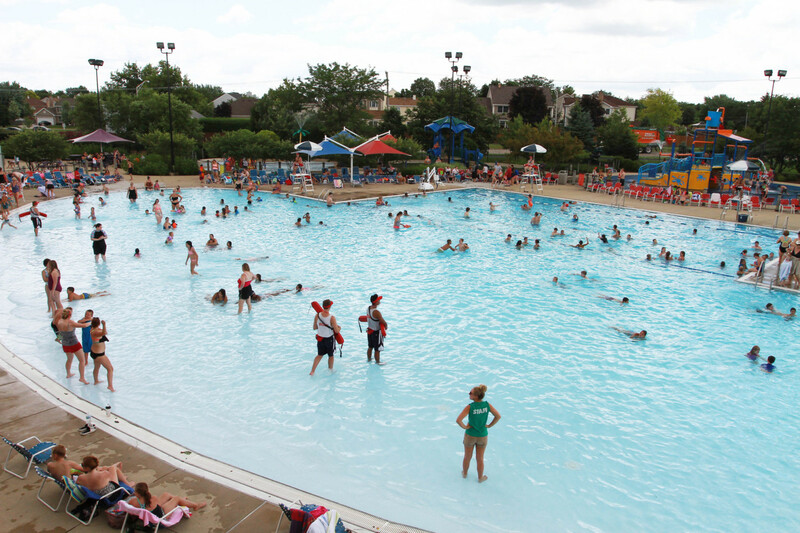 August 9 – Noodle Night Noodles are allowed in the pool from 4pm until close! August 11 – Back-to-School Bash Come join us for a last hurrah before school starts! August 16, 7-9pm – Friday Night Lights Climb the rock wall towards the moon as Coral Cove remains open for an extra two hours for everyone to have a chance to swim under the stars! Coral Cove Passes are Now on Sale! All passes are available at the Fountain View and Simkus Recreation Centers. When you purchase your pass for the first time, each person 3 years and older in your immediate family will be given a photo ID to gain entrance to the pool. Proof of residency for each adult on the family pass is required. If you have a pass from last year, your pass will be updated for you. 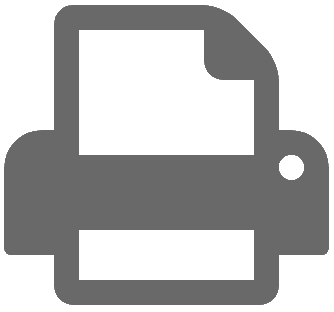 Photo IDs are nontransferable and are for the exclusive use of the person to whom it was issued. All passes are nonrefundable. The Cove is our poolside cafe, operated by the Carol Stream Park District. Grab a bite to eat while enjoying a day at the pool! Reasonable prices and select days for GRILLING! There is something for everyone on our menu! Coral Cove does not permit outside food or coolers to be brought into the facility. Baby formula & water permitted. *All Carol Stream Park District and Winfield Park District residents are admitted at resident rates. Proof of residency required. Coral Cove Water Park staff is responsible for enforcing safety rules and responding to emergencies. Parents/Guardians are responsible for the supervision of their children. All guests entering the water must be wearing a swimsuit. Street clothes and underwear are not allowed. No swimsuit, no swimming. Children 8 years of age and under must be accompanied by an adult 18 years or older. All children who are not toilet-trained shall wear tightly fitted rubber or plastic pants. Plastic pants are available for purchase from the cashier. Children unable to swim on their own must be within arms reach of their parent/guardian. We allow only US Coast Guard approved life vests. If you do not have an appropriate vest, Coral Cove will provide a life vest for your visit. Coral Cove reserves the right to close due to inclement weather, when the temperature falls below 68 degrees, or due to low attendance (Under 30 guests within one hour). We will give a courtesy pass to guests that entered the facility within 30 minutes of closing the pool for inclement weather and still have their receipt. Outside food and drinks are not allowed into the facility, except plastic water bottles and baby formula. Diaper changing stations are available in the restrooms. Diaper changing is not permitted on pool deck. Admission to the pool shall be refused to all persons having contagious disease, infectious conditions such as colds, fever, ringworm, food infections, skin lesions, diarrhea, vomiting, inflamed eyes, ear discharges or any other condition which has the appearance of being infectious. Persons with excessive sunburn, abrasions which have not healed, corn plasters, bunion pads, adhesive tape, rubber bandages, or other bandages of any kind shall also be refused admittance. Littering is prohibited. In addition, no food, drink, gum, or tobacco is allowed in other than specially designated and controlled sections of the pool area. Glass containers are prohibited. 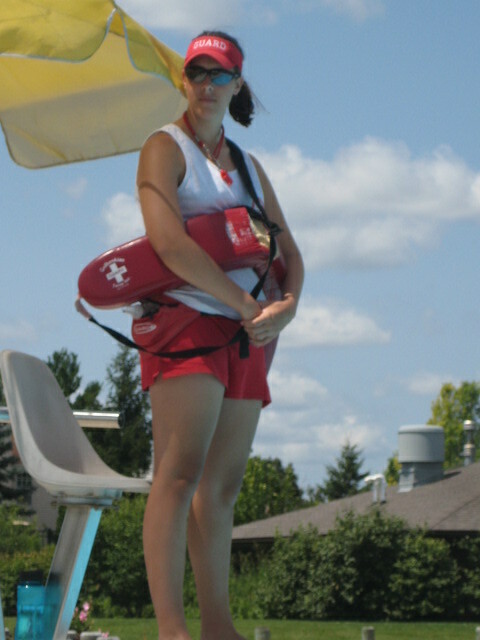 Personal conduct within the pool facility must be such that the safety of self and others is not jeopardized. No running, boisterous or rough play, except supervised water sports, is permitted. Only clean footwear, baby strollers, or wheelchairs are allowed in the pool area and locker room. Glass, soap or other material which might create hazardous conditions or interere with efficient operation of the swimming pool shall not be premitted in the swimming pool or on the pool deck. Diving is only allowed off the diving board. Caution shall be exercised in the use of the diving board. Swimming is prohibited at outdoor swimming pools when lightning is present, including a 30-minute period after the last lightning observed or thunder is heard. Our staff is fully trained and equipped to handle any first aid emergency. Feel free to ask a lifeguard or manager for assistance. Prolonged under water breath holding is not permitted. Flotation, hard throwing, snorkel masks and spraying objects are prohibited in the water areas. Mermaid Tails and Mono fins are prohibited at Coral Cove Water Park. Smoking is not allowed anywhere in the aquatic facility nor on park district property (to include parking lot). Coral Cove Water Park and Carol Stream Park District is not responsible for lost or stolen items. 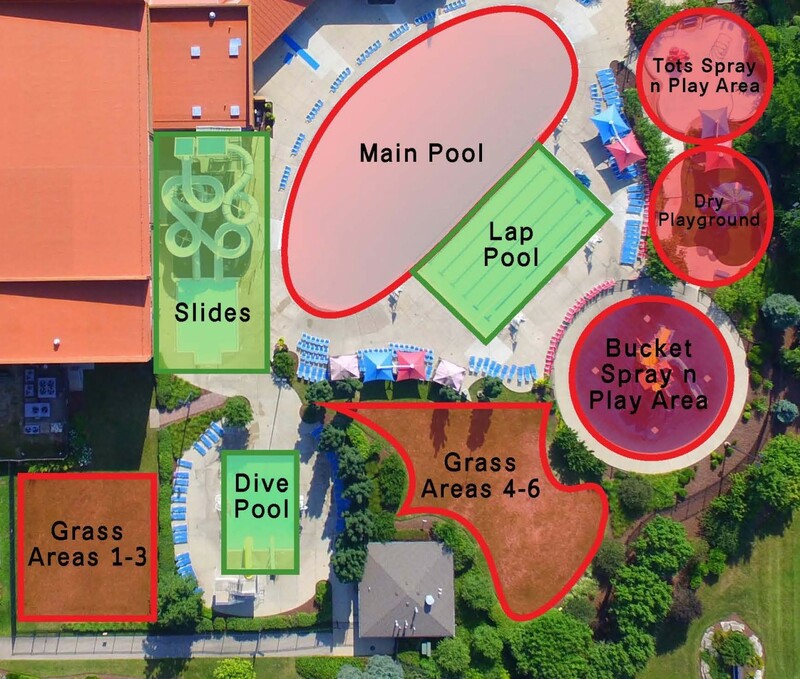 The Carol Stream Park District reserves the right to revoke any season passes as well as suspend individuals paying daily admissions, if there are continual violations of facility rules. The Carol Stream Park District does not provide individual health and accident insurance. The pool management is authorized to implement and enforce rules that are more stringent or that supplement those listed here. All group participants will be wrist banded prior to entering the pool.